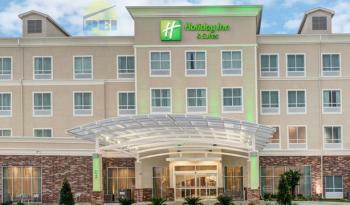 NEW Porte Cocheres for Holiday Inn Full Service Hotels in Louisianna, Michigan, Tennesee, West Virginia. 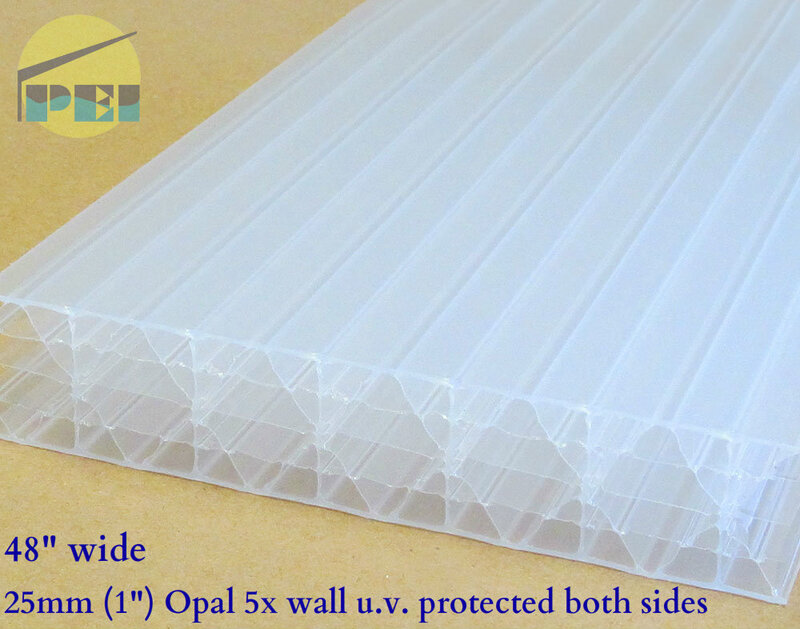 White baked enamel extruded aluminum arches with 25mm (1") thick multi-wall opal polycarbonate glazing. 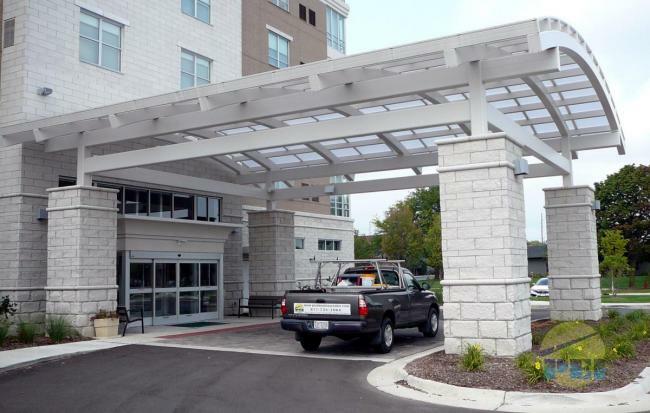 The opaque glazing material blends well with the white framing while giving adequate natural light and providing shade as well. 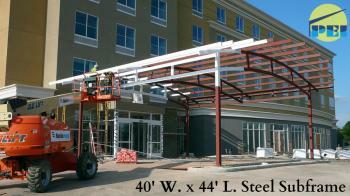 Engineered for High Wind Loads. 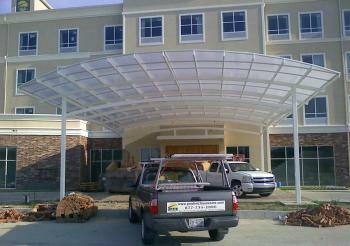 Another porte cochere is to be opened in LIVONIA, MI. 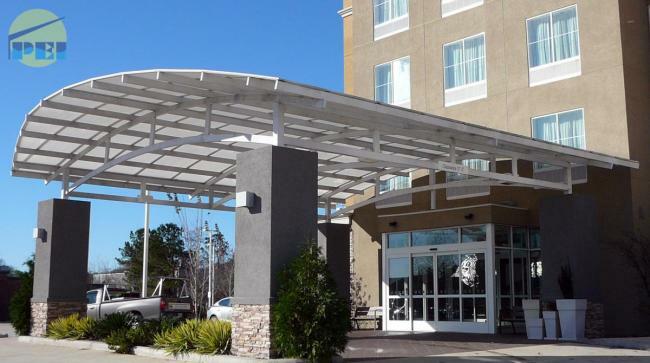 in late 2018, photos coming soon. 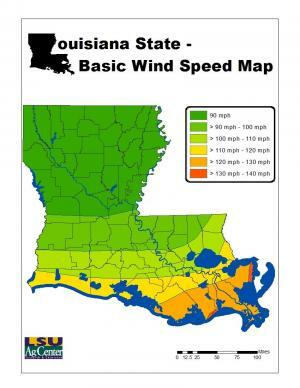 Important note: Consult your local authority having jurisdiction (AHJ) and municipal engineering standards to determine the exact (wind & snow load) requirements for your application. 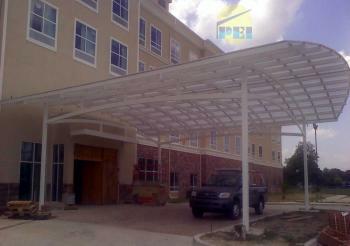 Bronze baked enamel extruded aluminum screw base and cap system. 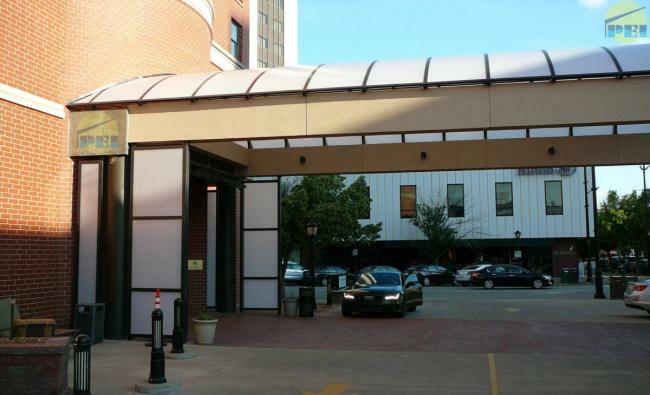 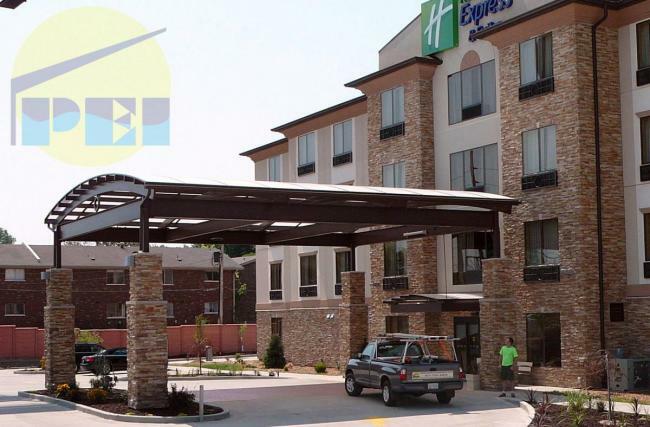 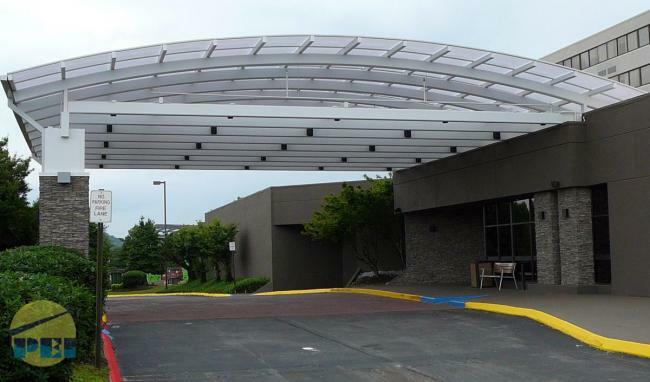 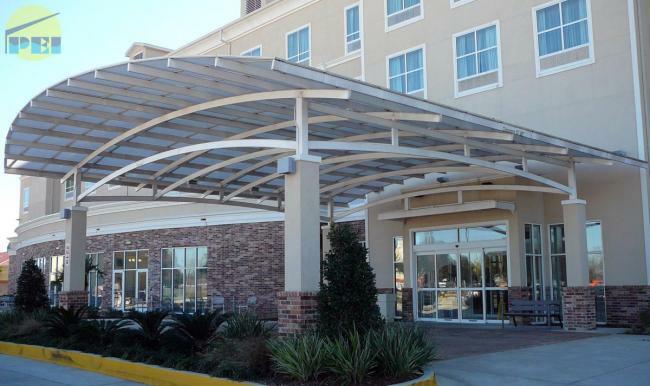 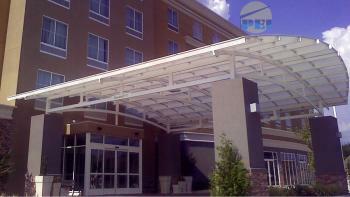 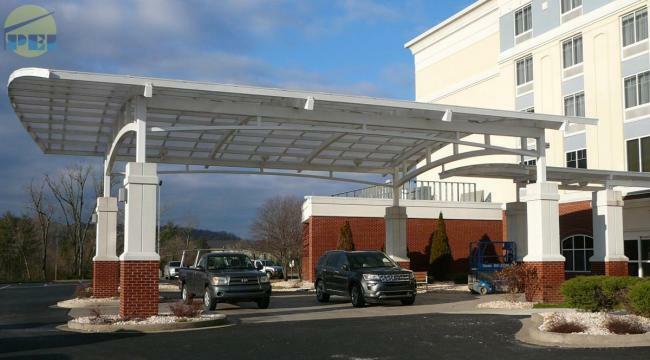 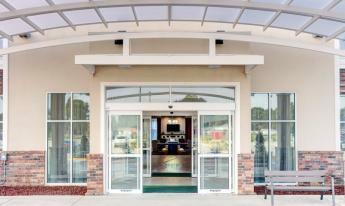 Custom 57' x 57' arched porte cochere for a Holiday Inn full service hotel in Tennessee.